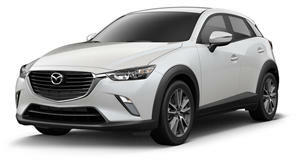 Mazda unveiled the all-new CX-30 compact crossover at this week’s Geneva Motor Show, slotting between the CX-3 and CX-5. The naming of the crossover has caused some confusion, however. Logically, you would think it would make more sense for Mazda to call its new crossover the CX-4 based on its current name designation for US models. However, there’s a good reason why Mazda went with a different name: the CX-4 is already being sold as a China-only model. 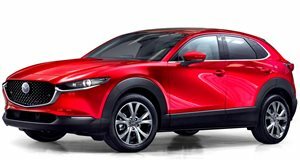 Rather than calling the CX-30 the CX-4 and selling two different vehicles with the same name in different markets, Mazda told Car and Driver it had to create a new moniker to avoid potential confusion. While we can see the logic, selling two similar models called the CX-3 and CX-30 seems a lot more confusing to us. Mazda told the publication the new crossover’s four-character name was inspired by the company's BT-50 mid-size pickup truck, sold in Australia and other foreign markets. Whether future Mazda models continues this naming designation remains to be seen. In terms of design, the CX-30 looks less aggressive than the CX-5 but sportier than the CX-3, with lower ground clearance, a longer length, and shorter overhangs than its smaller sibling. We may not be sold on the name, but it’s an undeniably attractive crossover. US engine options haven’t been confirmed yet, but in Europe the CX-30 will offer a 2.0-liter inline-four gasoline engine and a 1.8-liter diesel, with both manual and automatic six-speed transmissions. Mazda's forthcoming SkyActiv-X compression-ignition powertrain will also be available, which will feature mild-hybrid technology. An optional all-wheel drive system should also be available. Sales for the Mazda CX-30 will begin in Europe this summer. Pricing details haven’t been confirmed yet, but Mazda’s new compact crossover should cost between $20,000 and $24,000 to slot between the CX-3 and CX-5's pricing. We still came away with more questions than answers. The Mazda CX-3 has much more competition these days. Does it still hold up?